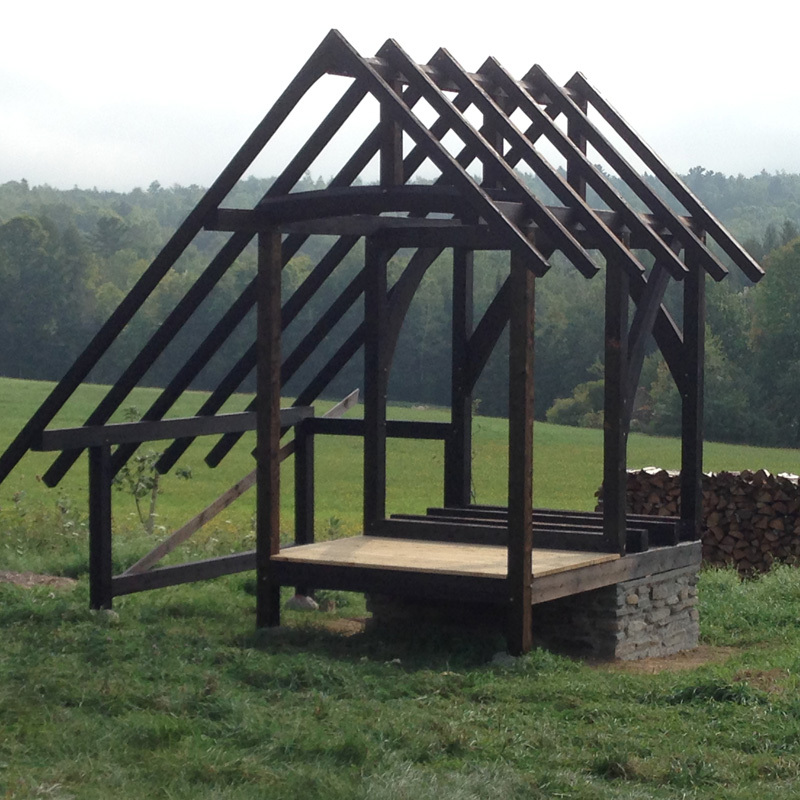 outhouse frame built from leftover timbers from past projects. charred cedar, pine, tamarack, douglas fir, and spruce. stone and masonry clean-out chamber used concrete leftover from shop foundation pour. 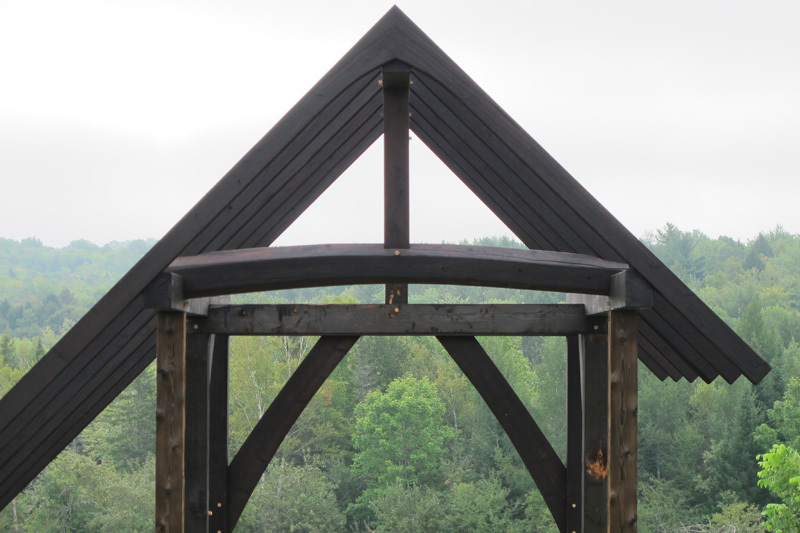 faceted log tie beam. book-matched crooked knee braces. field stone footers. recycled slates came from a bates college roof. rusted ridge cap courtesy of tim bickford. door is charred pine.